Combine your passion for wine and yoga with Wine Yoga presented by District One. 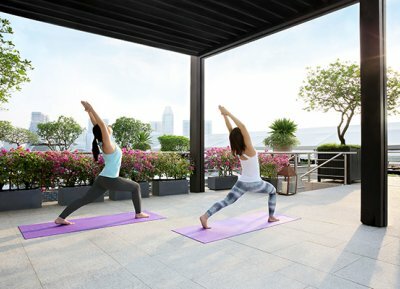 As part of Fullerton's Wellness Programme, hotel guests at The Fullerton Hotels Singapore are entitled to 10 complimentary passes per session. Simply present your key card and make a reservation in advance.